Pizza Hut - a brand of Yum! - is the largest and most loved pizza restaurant chain in the world (www.yum.com ). Pizza Hut is proud to be present in 100 different countries starting from April 2016. This marks a prominent milestone to demonstrate the brand’s commitment to deliver customers around the world the highest-quality pizza & professional service. Pizza Hut Vietnam was established in 2006 with 100% foreign investment and has developed over 50 restaurants with more than 3.000 employees. 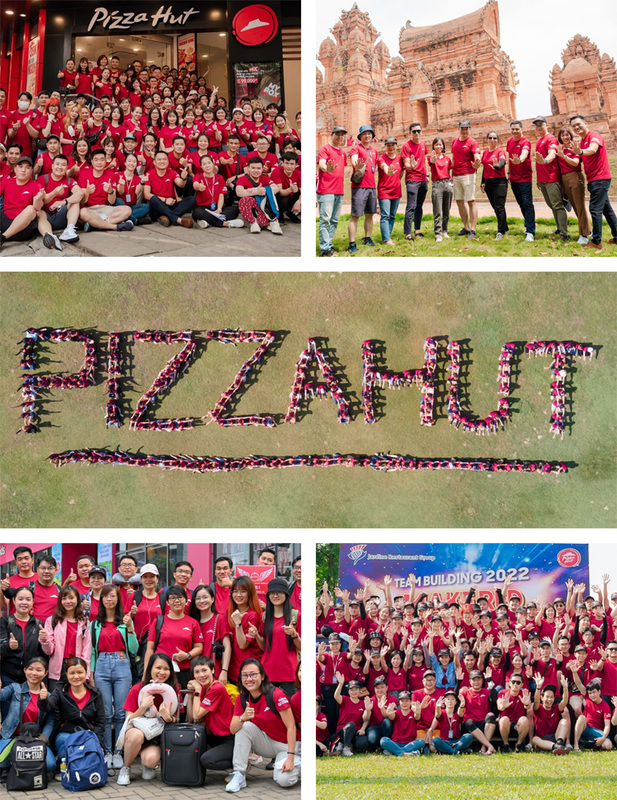 Pizza Hut Vietnam - where you can be the best version of yourself from personal development to career opportunity! We believe in people, trust in positive intentions, encourage ideas from everyone, and actively develop a workforce that is diverse in style and background. They believe in people, they believe in you! We find reasons to celebrate the achievements of others and have fun doing it. When I do someone a favor, they always thank me. We coach and support each other, first by focusing on what we appreciate, then how we can be even more effective. Everyone will jump in different places just to help out. We do what we say, we are accountable, we act like owners.” I come to work on time; they can count on me". We beat year ago results by continuously improving and innovating. We follow through with daily intensity. We have strict guidelines on everything we make. We execute with positive energy and intensity . . . we hate bureaucracy and all the nonsense that comes with it. Always come in with a smile and everything will be fine. We practice team together, team apart after productive conflict. We are a family. We work together as a team; we win together as a team.